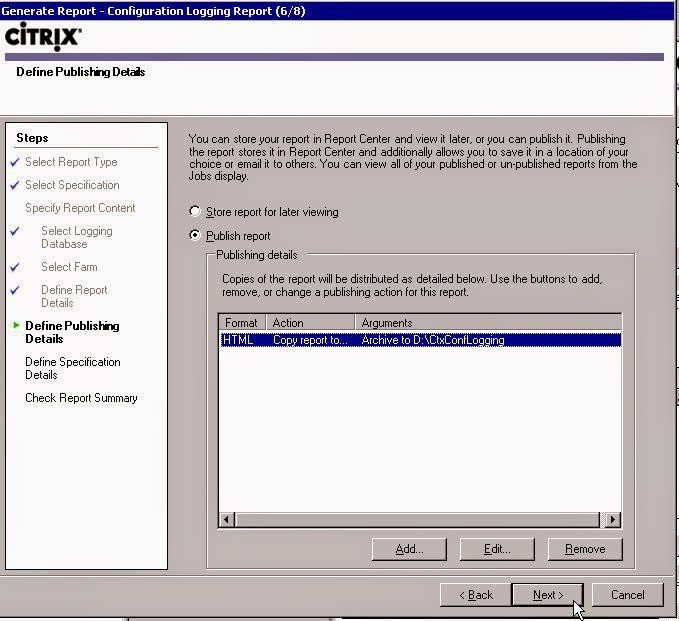 In previous post, i explained on how to enable Configuration Logging on XenApp 5.0 for Server 2003. 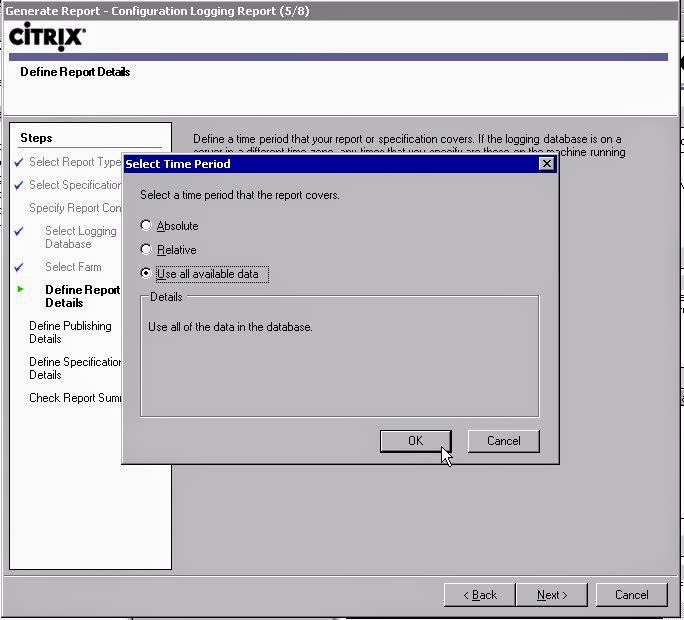 In this post, I will explain on how to generate Configuration Logging report. 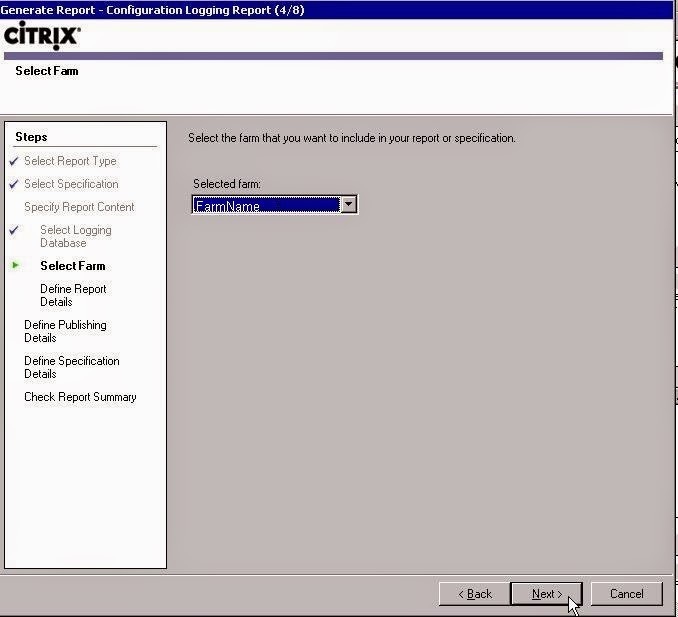 Generating Configuration Logging report - XenApp 5.0 for Server 2003. 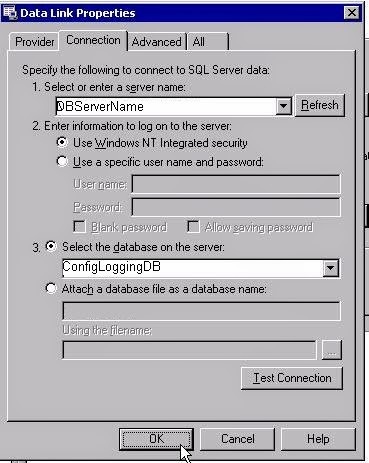 Firstly, login to workstation using the ID that has access to the DB. 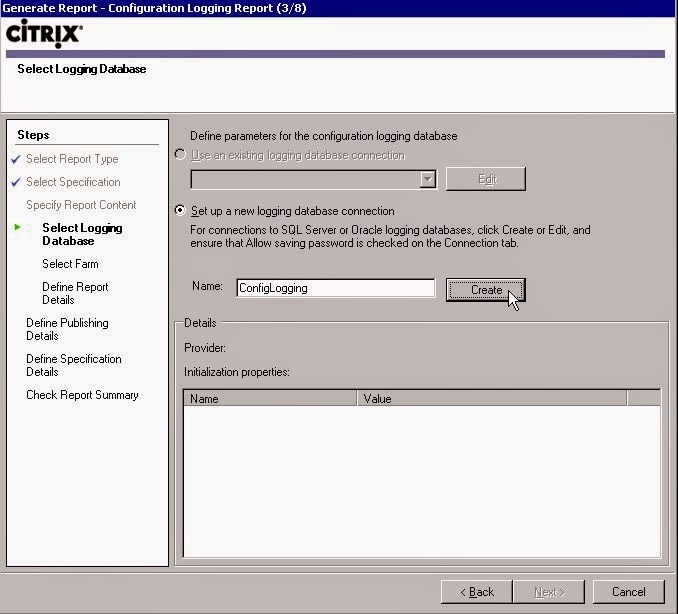 This Citrix blog explains well on the access required. 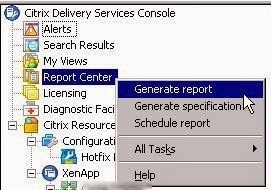 At Connection tab, properly specify the server name, credential, and the database. 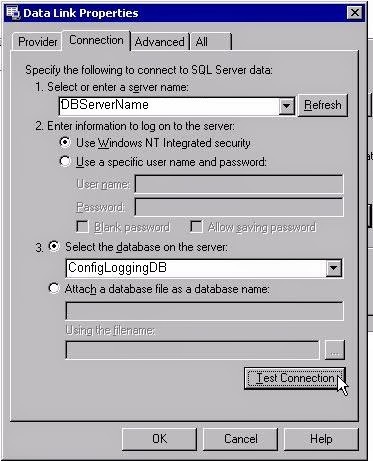 For credential (point #2 in the picture), choose Use Windows NT Integrated security (which is why I asked to login to the machine with that particular ID as step #1). 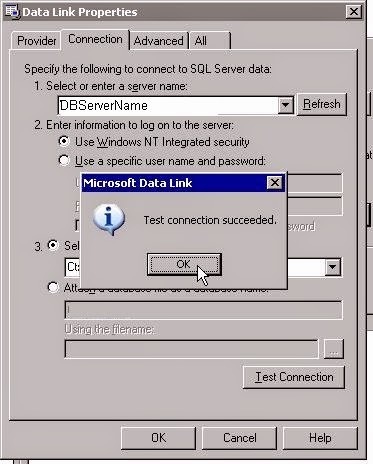 Once all done, click at Test Connection. If everything went well, this message will pop-up. Press OK.
We will be back to this screen, press OK. This screen will appear. Choose Use all available data, and press OK.
Everything will be summarize here, press Next. All done. 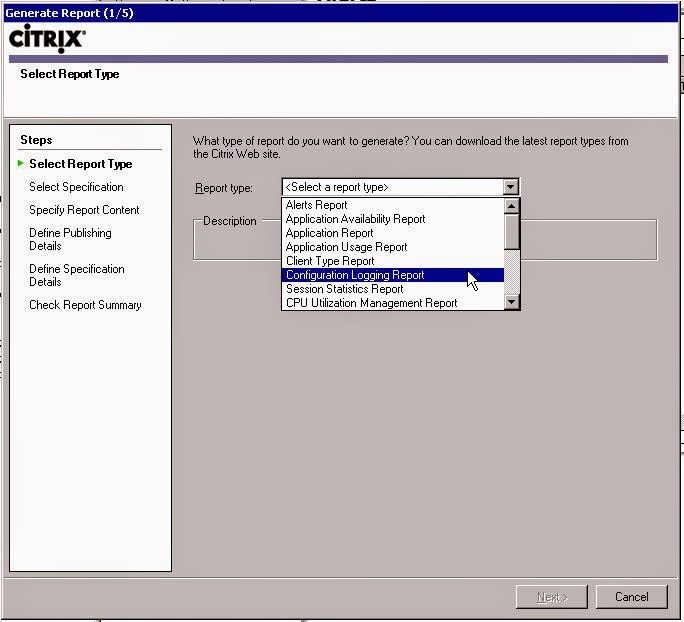 You may refer to Job view within Report Center node to check the progress.